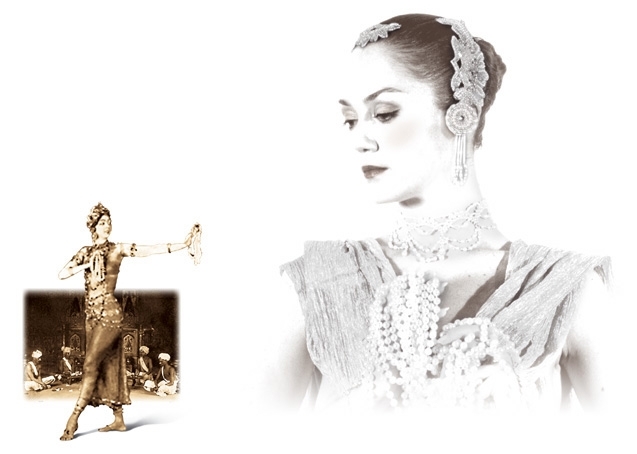 Radha a re-interpretation of Ruth St Denis’s 1906 solo. Mother of Bollywood? 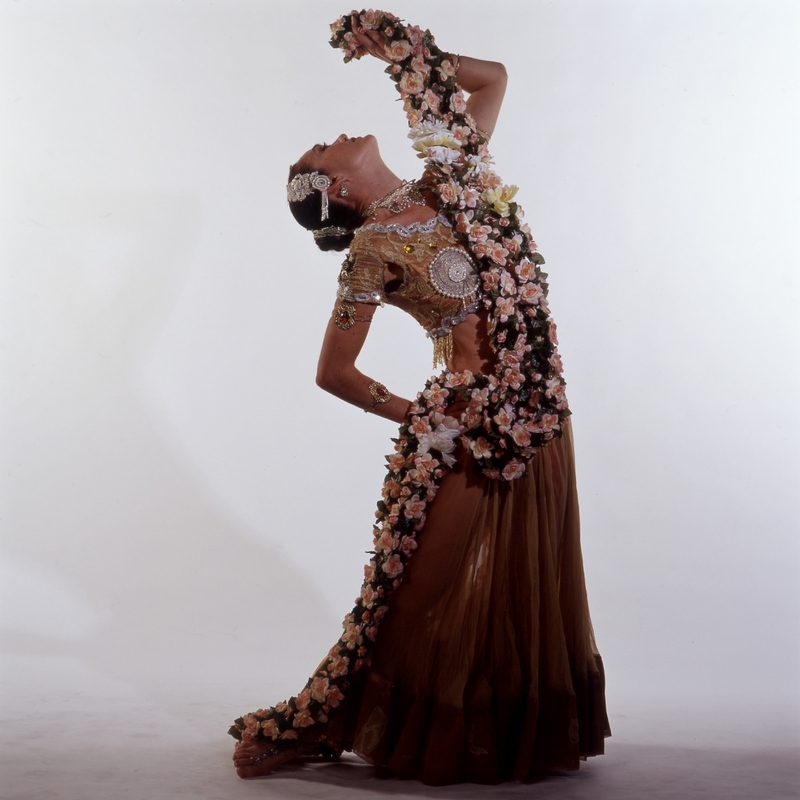 In 1906 American dancer Ruth St Denis exposed her feet in an exotic homage to the East. 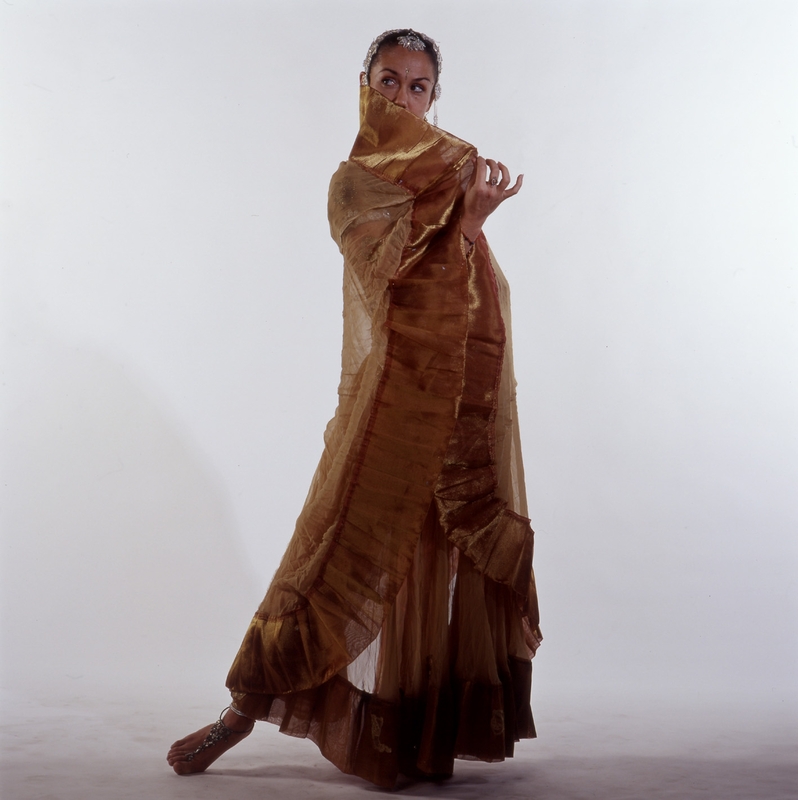 This non Asian woman portrayed the Goddess Radha in a work with a Buddhist theme, set in a Jain Temple, performed to French opera music – and the work was a huge success, paving the way for the modern dance ear to arise. Truely a pioneer of the cross cultural field.